Tested Works and Biergarten(parent company of Alpenhaus) history begun from minor software development requests to one of the founders of Tested Work during his university years. After successful completion of smaller tasks, idea to provide upcoming company’s restaurant with AI-based solution was born. Since the planning of the project, it was clear that Alpenhaus will face certain difficulties due to its location and event-based specifics. The destined goal was fulfilled -Alpenhaus operated throughout the whole FIFA World Cup 2018, using Expobot and fully benefiting from quality and speed of service improvements. 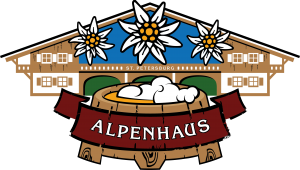 Alpenhaus is an enormous beer restaurant with 2000 people capacity located nearby newly built stadium in Saint-Petersburg, Russia. Location specifics, as well as 10 meter screen make the place perfect for football fans to attend Alpenhaus before, during, and after live matches. When there is a major sports event happening, the broadcast is shown and it can often be as cheerful and loud as at the stadium.The restaurant opened its doors in February 2018 prior to FIFA World Cup. Since Alpenhaus mainly operates on event basis and because of its enormous size, the restaurant experienced difficulties with providing high quality and quick service. The amount of personnel varies a lot as the workload on weekdays is relatively low, while during the events a minimum of 20 waiters and 20 food runners are required. When there is an ongoing football game at the stadium, no matter if it is the locally-loved FC Zenit or an another team, crowd starts appearing starting from the opening hours, typically peaking an hour before a game starts and returns after the game has ended to celebrate or cheer up with locally brewed beer. For operations, Alpenhaus utilizes a “waiter + food runner” workflow model. Waiters focus on interaction with guests, while food runners deliver all prepared dishes and drinks. A delivery optimization system (that later became Expobot) was designed and the development started. It took 4 months of development and 2 months of testing and integration after the initial installation to align with the production environment. Expobot is a system that consists of cameras and screens that allow AI-powered software to expedite the ordered items around the restaurant. Backend software that includes computer vision, object detection and smart routing optimization fulfils expeditor role, evaluating thousands of order delivery combinations and choosing the best one. All orders in the restaurant are shown on bar and kitchen screens correspondingly. Cooks and bartenders pass the prepared dishes and drinks to food runners. Food runners then approach recognition stations and receive delivery destinations. Recognition stations consist of two cameras, screen and mini-PC each. While a runner is standing in the designated zone, Expobot recognizes the runner’s identity by their face and what items are in their hands, and displays the most efficient destinations and route for the delivery. Efficiency is calculated using an algorithm which considers all passable and impassable areas in the restaurant, table positions, time each order has been in the queue and several other factors. Such workflow allows runners to carry as many items as they can and to complete multiple orders in a single run, as well as to minimize the total distance needed to walk. Training newcomers to operate with Expobot established workflow is extremely easy. It takes about 10 minutes to explain to food runners the consequence of actions that is required for them to fulfil their role in the restaurant operations. Information about every delivery is saved and sent to all responsible parties (runner, waiter, manager), which provides access to extended statistics as well as possibility to precisely track all anomalies and potential thefts. For waiters it notifies when the item is dispensed to fulfill their orders. Waiters are also able to check their orders statuses within delivery queue to make sure every item has reached its destination. Management knows how each runner has performed, the order fulfillment times during different periods of the day, and is able to resolve potential mistakes swiftly. The set goal – to make Expobot work within Alpenhaus before the start of FIFA World Cup 2018 was achieved in time. The system was fully adapted to restaurant’s needs, all staff trained and stability of work guaranteed. Both Alpenhaus and Expobot were tested by crowds of Brazilian, Swedish, Russian, Belgian and many more fans. 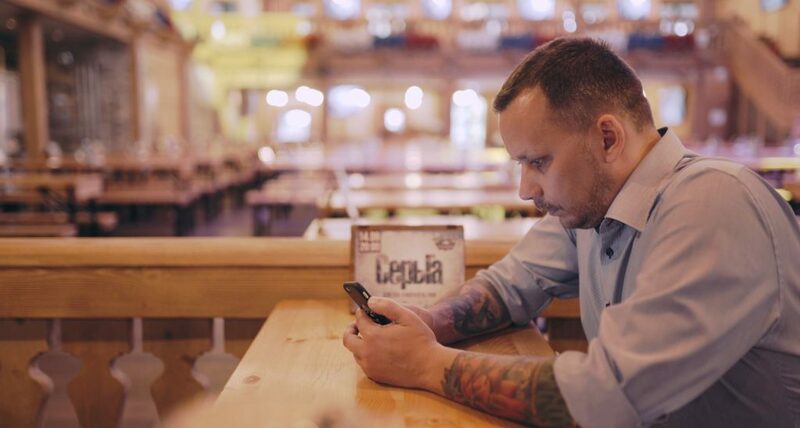 When the game was happening on the Saint-Petersburg stadium, the restaurant was full since the opening hour till dusk, constantly selling thousands of mugs of beer and dishes. On such high load, Expobot didn’t struggle to operate and assist runners, many of whom were carrying 6-7 litres of beer in their hands, providing the most efficient route to help fans satisfy their thirst for beer. Both parties were satisfied – Alpenhaus received a technologically advanced solution that improved the workflow and increased quality and speed of service, while minimizing costs. Tested Works employees gained lots of valuable experience about restaurant operations and successfully tested and polished their first product that is now ready to be installed at restaurants worldwide.